Barbara Snuggs Reap 82 of Albemarle died peacefully Saturday Evening, April 13, 2019 at her home. Funeral Services will be held at 1:00 PM Wednesday, April 17, 2019 at Randall United Methodist Church. Rev. Caitlin McAlhany will officiate and interment will follow in the church cemetery. The family will receive friends from 6:00 until 8:00 Tuesday Evening at Edwards Funeral Home in Norwood. Barbara was born July 13, 1936 in Stanly County to the late Thomas Alvin and Eva Ann Needham Snuggs. 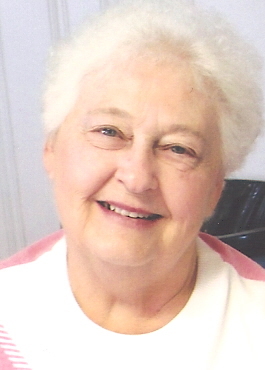 She was a Registered Nurse having retired with many years of service with Stanly Memorial Hospital and was a lifelong member of Randall United Methodist Church. She was preceded in death by her husband John Martin Reap and three brothers Needham, Leon and Edwin Snuggs and one sister Gwendolyn Chapman. She is survived by two sons John Martin Reap II and Michael Dean Reap (Shawn) and one daughter Cindy Reap Beachum ( Michael)and one sister Jeanette Snuggs Vaughn all of Albemarle. Five Grandchildren Dudley Beachum (Kianna), Eva, John, Andrew and Joe Reap. One great-grandson, Leo Dante Chirillo. Memorials may be made to Hospice of Stanly and the Uwharries, 960 North First Street, Albemarle, NC 28001.